Although days are long and some days I may feel like I am never going to get through them, I have to say some of the days do provide a lot of laughs when all is said and done. Can’t I catch a break? I just had one of those evenings this past week. Spreading myself too thin but thinking how I have a handle on it. I wasn’t stressing. I wasn’t snapping at the kids. I was calm and cool. Then the phone rings. I get a call from my groomer asking me to remain calm and everything is ok. But I needed to come at get Mazy. She had accidentally nipped her tail and it wouldn’t stop bleeding. I could tell by her voice she was so upset. I just took a deep breath and did what I had to do. Got my sitter to come over to stay with two of the kids, called the vet, got in touch with my hostess for the evening (I had a Thirty-One Show-30 min away), and left to get Mazy. Get Mazy and after calming the groomer down and letting her know I was fine, dog was fine, these things happens, I left to go get Ella who had dance and head to the vet. It was during that short 5 minute drive from the Groomers to the dance studio where I started to get stressed. But I knew there was no reason to be. but I was having one of those moments when IF things were different and I was not alone in this thing called life, I would still be heading to the Thirty-One Show and Ryan would be taking the kids along with the dog to the vet. All would be fine. MY life wouldn’t be disrupted. It was one of my “DR” moments. I’m allowed to have them. Right? YES I am. The dog was fine. Never knew anything happened to her. The kids were fine. My hostess was SO understanding and still had her party minus me (technology is a wonderful thing). WE were all fine. I don’t like when I allow trivial things get to me. I don’t like to sweat the small stuff. I know I am allowed to and I know things could have been worse. But they weren’t~thank goodness. This was one of those moments that even though it was an inconvenience it ended up be funny when all was said and done. Mazy is fine. 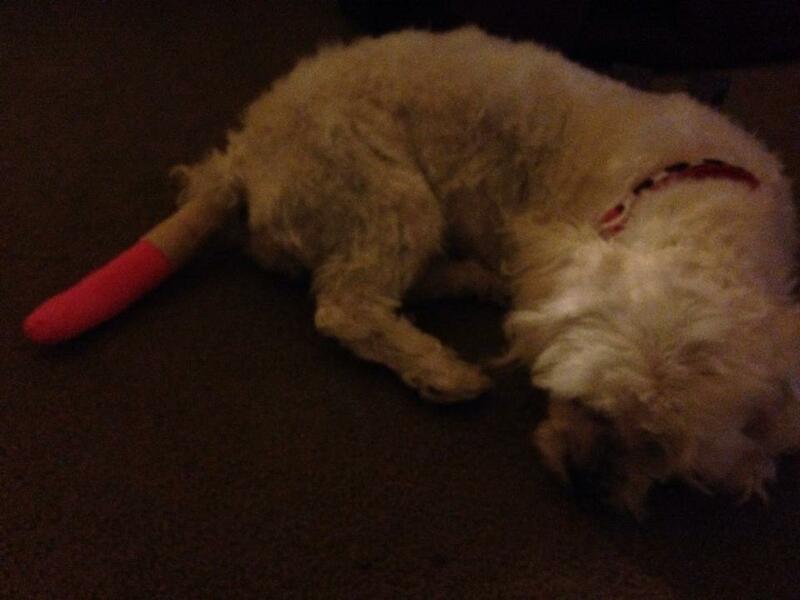 She is a hot mess with her half-groomed style going on and a pink gauze bandage at the end of her tail. The size of the bandage makes it look A LOT worse…it is just the very tip. But that is what makes this inconvenience one of many that puts it in perspective and reminds me, staying calm and just going with what life throws at me is how I need to look at things. It makes for a great story. It made us all laugh. It made me slow down. It reminded me sometimes things will happen and you just have to go with it. I say all this now until the next thing. And there will be MANY next things. But hopefully I will handle the next things the same way and if I don’t, it’s OK. I am allowed those moments. And that was our morning. 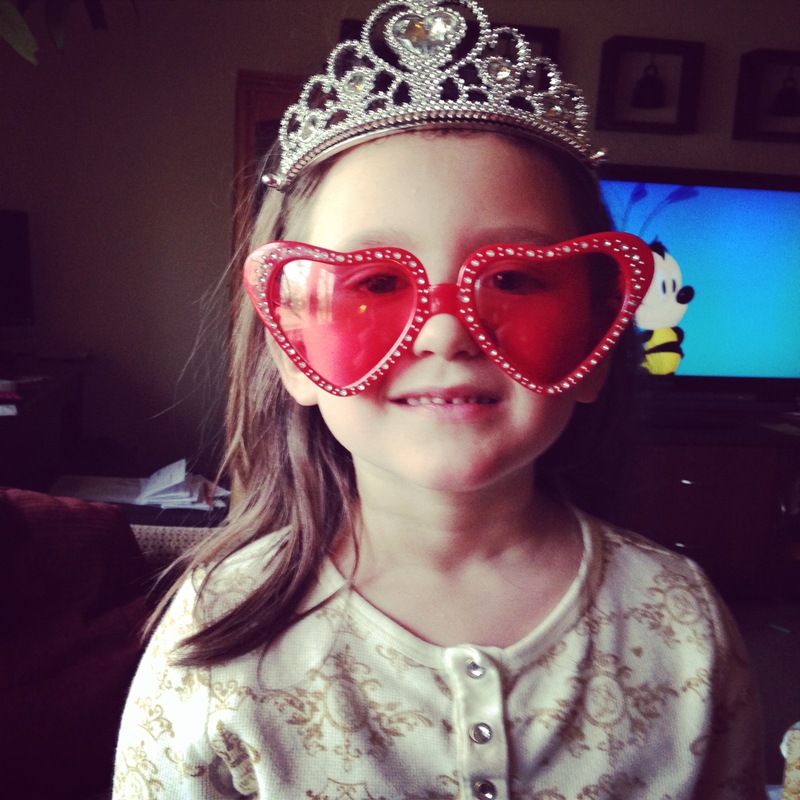 It’s happening….my 5 yr. old is growing up. For the 3rd time in a 2 month period we had to spend an afternoon going through her clothing stash because things were “no longer her style”. When did she get a style? Well at least one she was aware of? So I put on a brave face and let her sort her clothes into “keep” or “donate” piles. My heart was breaking as I watched her put all her Ariel, Sofia the First, Doc McStuffins, Princess style shirts & dresses into the “donate” pile. There were a few she kept for “when we go to Disney” pile (umm they probably won’t fit her then). The only clothing left that remotely is still “little girl” are her jammies and character undies. How did this happen? When did this happen? I asked her what her “style” was and she simply replied….anything sparkly, pink, black, cheetah, zebra print, etc. Well OK. Yes it is somewhat still “little” girlish but she is picking things her older sister would wear and wearing it with sass. The only thing that keeps her new “style” cute and little is the fact that she only wears leggings, yoga pants, and still prefers dresses and skirts. So I guess I will cherish the dressing up and singing along to the Frozen Soundtrack as much as I can since in a blink of an eye that too will go away. Having an 8 yr. old boy is always interesting. Since I am not a boy (obviously) and didn’t grow up one, it is a learning experience. 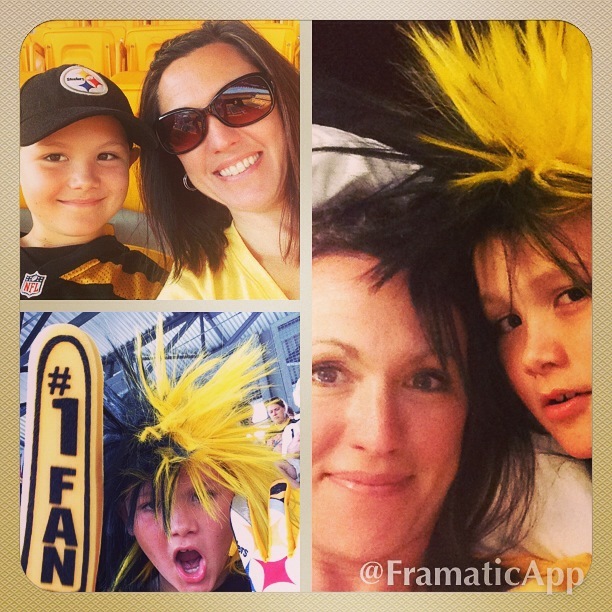 I have learned from my son…. ~ Sitting still…what is that? What have you learned from your child(ren) lately? As my kids get older, the quality time we have as a family and even just alone is a minimum. Each day someone has something going on that takes away from the other two. After a whirlwind first month of school and getting into our crazy schedule, I am seeing little lights at the end of little tunnels that were once very dark. I love the time each week I get to have one-on-one time with each of my kids. By far my youngest gets the best quantity of my time since she has me to herself every afternoon. But it is during this time I get to see how she is maturing and changing each day. It is during these afternoons that I love to snuggle with her and let her be her. I love my weekly dinner dates with my son. Yes it is usually McDonald’s but I will take a burger and fries with him over anything any day of the week. He is the only male in the house. He is the middle child. He is the one I feel I need to learn how to connect with the most since I am obviously not a male myself…ha! In our short little date, I find out so much about what is going on in his mind and his world. This is where I am hoping the lines of communication begins and he knows he can tell me anything. And as my oldest is changing and trying to find her way as an almost “tween”, I live for our late night drive to and from her one dance class. I put my pride and guilt aside and recruited help on one night where it is just her and I. It gives us a chance to just have girl talk. I am not just mom but a confidant. I hesitate to use the word “friend” here. It is such a fine line to walk with any child. But I think (or hope) that keeping that line drawn will create a special and unique bond that is even better than a friendship. I see how she is entering into the years of struggling to find herself and to find where she fits in on top of peer pressure and everything else that comes with growing up and I am scared for her. I know I wouldn’t want to be growing up in this day and age. It is during this time, I see the amazing young lady she is and this is when she truly confides in me. I am very proud of myself that I have been able to put aside my guilt, my pride, my desire to do it all aside. Because let’s face it I can’t and no one can. I am taking full advantage of my weekly dates more and more as each week passes because I see the small changes they make for each of them and for me. I was fortunate to go away with just my son this past weekend. It is very rare that I get an opportunity to get away with one of my children for longer than a few hours at a time yet alone an entire weekend and twice in a 6 month period. Back in April was the first time when my oldest daughter’s dance team had an amazing opportunity to travel to Disney World and perform as well as take an exclusive workshop with cast members. For the first time, I packed up myself and just one of my kids to take a trip together. Just me and ONE child! Let me say that again….Just me and ONE child! I forgot what it was like to have just one little person attached to you. It is so peaceful. No one is competing for your attention. There was no fighting. There was no one saying something wasn’t fair. I wasn’t being pulled in so many directions at once. I was enjoying my child. I find it very hard to say the words “enjoying my child(ren)” on a regular basis. It has been something I have struggled with for some time. It has been something that has made me feel like I am failing them. When you are the one person that more than one little person depends upon, you often find yourself being pulled in so many directions. And when you are pulled in so many directions it is so hard to find the enjoyment in this crazy world called parenthood. I mean think about it, what is there to enjoy about being the disciplinarian or being talked to with an attitude? What pleasure do you get from having to repeat yourself 100x’s to get someone to pick up their belongings, throw their trash away, or flush the toilet? Where is the enjoyment of running like a mad person to get everything together-dinner, lunches, laundry? No one likes to be the person who does so much with so little in return. This is the side of parenting that is not fun and you can never fully prepare yourself for. But then there is the side of parenting you experienced what seemed to be so long ago. The side that is always there but as your kids get older seems to be rare. The side when you enjoy your kids. You enjoy their snuggles. You enjoy their little voices saying “Mommy/Daddy you’re the best!”. The side where you make everything right in their little world and they are so grateful. The side where you can do no wrong in their eyes. The side where one hug just seems to take the weight of the world off your shoulders for a brief moment. I am in the midst of parenthood where the “enjoying my children” feeling is very hard to find some days. I KNOW it’s there. On the tough days, I just wish there were more of those moments. I think the only way to have them is to make sure I am present and I am looking for them when it gets to the point of feeling so beaten down by the daily demands of parenting. There are no books or articles that can really prepare you for this flipside of parenting. I think the one thing that can help us all is sharing the days of “not enjoying” our kids and how we got through them.